(Bloomberg) -- Paulson & Co. isn’t the only Newmont Mining Corp. shareholder that’s expressing concerns over the terms of the gold miner’s $10 billion purchase of Goldcorp Inc. Mounting investor concerns sent Goldcorp shares tumbling as much as 5 percent in New York. The shares closed down 3.2 percent at $10.80, while Newmont rose 0.5 percent. Newmont has no comment on the investor criticism, spokesman Omar Jabara said Friday by email. The Greenwood Village, Colorado-based miner has previously said a merger with Goldcorp would create more than $4.4 billion in value. The combined company would be the world’s largest gold miner, with sustainable production of 6 million to 7 million ounces a year. On Thursday, Paulson said it won’t support Newmont’s proposed merger with Goldcorp unless the terms are changed. Paulson said a 23 percent reduction in the value of the transaction would help ease his concerns because under the current deal, Goldcorp shareholders are effectively receiving the benefits of the recently announced joint venture for free. 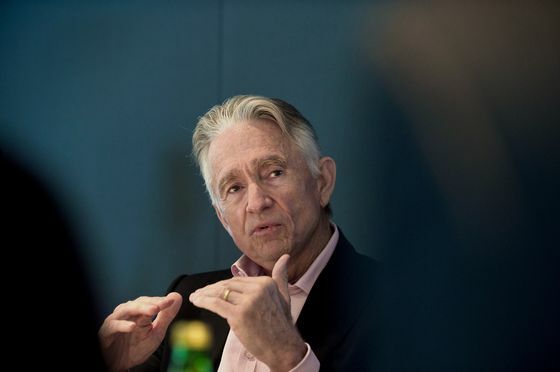 Shareholders including VanEck had previously blasted the increase in Goldcorp Chairman Ian Telfer’s retirement allowance to roughly $12 million from $4.5 million if the company completes its merger with Newmont. Initially, the plan was for Telfer to join Newmont’s board as deputy chairman. But earlier this month, Goldcorp announced he wouldn’t accept the new job. Foster said he has not yet decided whether he will vote for the deal. 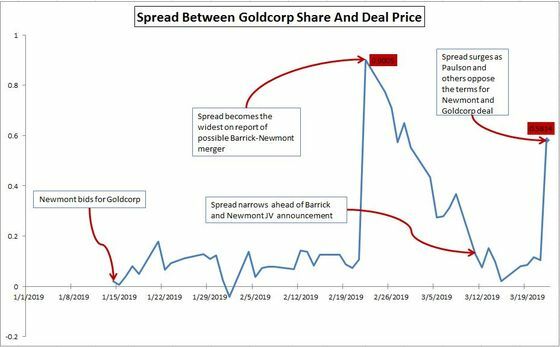 VanEck held 5.9 percent of Newmont shares and about 6.2 percent of Goldcorp shares outstanding at the end of 2018, according to data compiled by Bloomberg. At Thursday’s closing prices, that Newmont stake would be valued at $1.08 billion versus $596.4 million for the Goldcorp stake.